Of all the new features that Google Ads introduced in 2018, perhaps none are more exciting than Responsive Search Ads. Like the jump from Standard Text Ads to Expanded Text Ads in 2016, Responsive Ads give advertisers an exciting opportunity to experiment with longer and more varied ad copy – with the added bonus of algorithms that select the best performing ad variations. In this post, we’ll talk through key features, implementation tips, and initial performance results. Responsive Search Ads can display up to three 30-character headlines and two 90-character description lines. This is significantly more space on the search results page compared to original Expanded Text Ads, which only allowed for 80-character descriptions. With more characters to work with, you have plenty of room to take chances with more creative ad copy, combine multiple unique-selling-propositions, or try new calls-to-action. 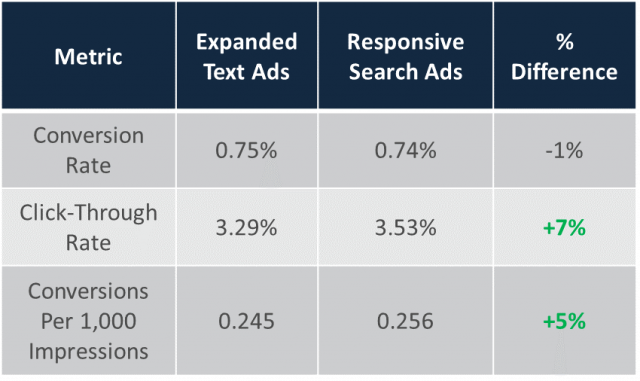 The second and most important difference is Responsive Search Ads’ use of machine learning. Google allows advertisers to test up to 15 headlines and 4 description lines in a single RSA, and then utilizes algorithms to serve the best performing combination of ad elements to that individual searcher. 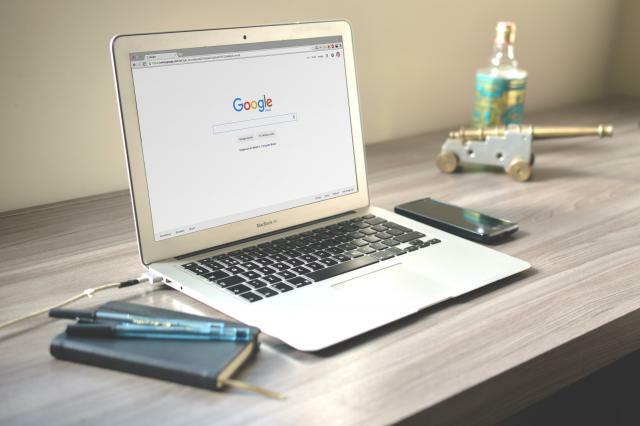 This allows for very sophisticated ad copy testing strategies – you can take learnings from traditional A/B tests to determine which language resonates best and then launch these variations across RSAs to allow Google’s technology to select the best performers. There are a couple of strategic considerations unique to RSAs. In order to get the most out of RSAs, it’s very important to ensure that all of your headlines and description lines vary in their messaging. Not only will similar headlines and description lines look redundant on the results page, but also Google will be less likely to generate combinations if the messaging is too repetitive. Also, you can ensure a particular headline or description line is always displayed by “pinning” a headline or description line to first position. Pinning can be most useful if you want to display the title of a particular product as Headline 1, or if you want to ensure a specific brand message is displayed first. Overall, initial performance for RSAs versus ETAs has been extremely promising. Below, you can find data from an RSA test for one of our largest ecommerce advertisers. This particular test was run over two months and generated over 8.5 million impressions across non-brand campaigns. The most significant takeaway is the click-through rate improvements – we saw a 7% higher CTR for RSAs versus ETAs. While this might seem small, a 7% improvement in CTR for a seasoned, high-volume ecommerce advertiser will yield serious click increases over time. Furthermore, conversions per 1,000 impressions for RSAs was 5% stronger than for ETAs. This suggests that RSAs could have a positive impact on both click and conversion volume – great news moving into the holiday season! Like any new Google beta, we think it’s worth experimenting with RSAs as soon as possible to get an edge on your competitors and start collecting data. Happy testing! For in-depth help on your ad testing strategy, contact our team.